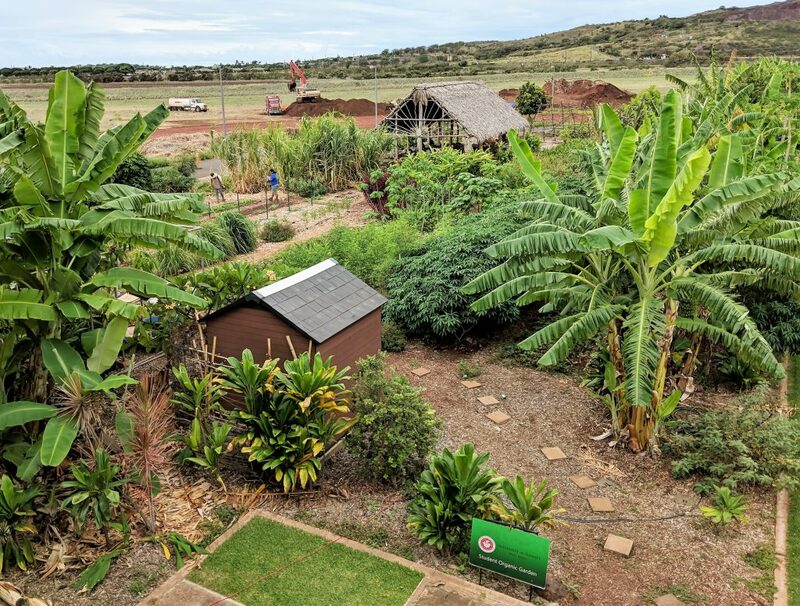 There are at least two ways for the UH West Oʻahu campus community to participate in work being done at the Student Organic Garden during the 2019 Spring Semester. Weekly Harvest Days occur every Tuesday from 9 to 11 a.m. at the garden. This is usually a mālama ʻāina time during which students can get service learning hours in by volunteering in the garden and then participate in harvests. Saturday Work Parties are scheduled from 8 to 11 a.m., Feb. 2, March 2, and April 6. In addition to students, faculty and staff, community members are invited to learn various aspects of food cultivation, including preparing soil, building compost, installing irrigation, sowing seed, harvesting produce and other techniques. Bring water, sun protection, shoes, and a healthy snack to share. Optional potluck afterwards. Questions? Contact Student Garden Program Coordinator Tasia Yamamura at tasiay@hawaii.edu. Tagged garden, sustainable community food systems, The University of Hawaiʻi-West Oʻahu, www. Bookmark the permalink.